NLC Solutions is a family operated business that knows how to create customer satisfaction with our commercial cleaning expertise. We have been in the industry for over 30 years and have a clear understanding of how the cleaning requirements of different businesses vary. That is why we create customized cleaning programs for our clients. We make it a point to achieve the highest level of hygiene, with unmatched customer service in Rahway, NJ. Rahway is a part of the New York metropolitan area and a city in southern Union County. It is also located west of Staten Island and southwest of Manhattan. It is home to the Union County Performing Arts Center. It’s currently in the process of building artists’ accommodations so that visual artists, filmmakers, poets, comedians, dancers and musicians can live in a safe environment. A number of modern art galleries are also situated in the Arts district. Floor Care in Rahway:Our experienced floor care team at NLC Solutions utilizes top-of-the-line products and equipment to achieve lasting results, when it comes to floor waxing, commercial carpet cleaning, and more. Industrial Cleaning Services in Rahway:: We know how to maximize our industrial-grade cleaning resources to clean and maintain your building like a pro. Green Cleaning Services in Rahway:At NLC Solutions, we only use eco-friendly products and employ green cleaning practices to ensure a safe and healthy environment for our clients. Cleaning Supplies in Rahway:We provide commercial grade cleaning supplies for warehouses, manufacturing plants, schools, churches, medical facilities, and more. NLC Solutions can conduct a cleaning assessment for you. 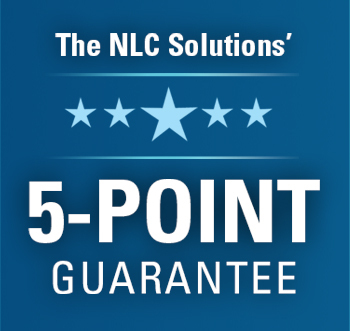 You can schedule an appointment with us by calling (908) 753-3900 or sending an email to info@nlcsolutions.com.